Boiron medicines for cough, cold and flu-like symptoms are recommended by registered pharmacist Gary Kracoff. Signup for the Wellness Naturally e-newsletter and receive exclusive promotions, product news and health tips from Boiron. 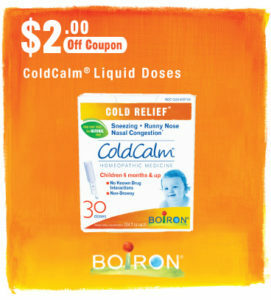 At Boiron, we believe there’s more than one way to feel better. Since 1932, the Boiron family has been committed to providing quality medicines. As world leader in homeopathy, our passion is your health. Our promise is your satisfaction. Find out more at boironusa.com. © 2019 Boiron USA, All Rights Reserved. This site is intended only for residents of the United States. *Claims based on traditional homeopathic medicine, not accepted medical evidence. Not FDA Evaluated. *Claims based on traditional homeopathic practice, not accepted medical evidence. Not FDA evaluated.